‘The Other One Percent: Indians in America’ has been reviewed as a case in point of the little known story of Indian immigrants settled in America successfully. Though the book overlooks the dark side of this diaspora, it is a relevant read in the current situation. It explains how Indians came with nothing and from nowhere to become a successful American minority. This mutually beneficial relationship may face threat under Trump’s presidency. 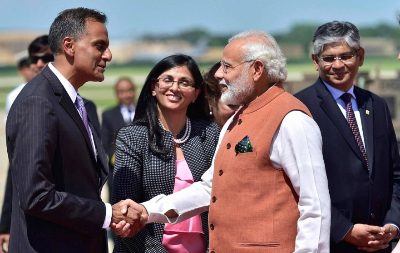 What is the current status of Indian immigrants in US? Before the election there were different sets of stories to tell. Indian Americans are said to be the most successful minority group. They are found at the top rung across a variety of professions and earned esteem by virtue of their success. Half the US households in which an Indian migrant is the chief breadwinner earn more than $103,000 annually. When compared with other foreign groups, Indian-born Americans are more likely to be made up of a younger, highly educated, richer and more stable and successful demographic. These immigrants are among the favored in that they usually hail from upper or middle class families and possess a high proficiency in their studies or area of interest. A significant number of them are risk takers passionate about their purpose. Free from religious, regional and caste barriers, they work as a united force to earn success at the individual and community levels.In doing so they emerge as living examples of the American dream that enables anyone who earns success through hard work with the opportunity for prosperity and equality. 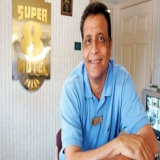 This set of legal Indian migrants who made a name for themselves and boosted various sectors in America and others like them who may suffer a worse fate are the focus of this knapp. Why have they come this far? Ambition, hard work and talent make up part of their story while being in the right environment makes up the remaining part. Legal Indian immigrants with a sturdy financial and educational background have faced discrimination – either as objects of pity or considered as incapable of making it as entrepreneurs among other condescending attitudes – but this doesn’t take away the fact that acknowledgement and esteem for merit is ingrained in America and takes a priority over all other negative facets. One must hail their determination to not let discrimination dissuade them. 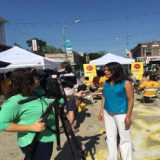 By keeping their focus intact and forming bonds with other Indians that might have not been so easy in India, the community has been able to carve a niche for itself and live the American dream. American values of entrepreneurship, daring, optimism and pursuit of excellence are exemplified in Silicon Valley that provided a fertile environment for the section of Indian immigrants who had big ideas and pursued them with tenacity. When did Indians start arriving in America? The year was 1910 and Indian strength in the US was about 5000. A xenophobe-driven commission announced Indians as the “most undesirable of all Asiatics” and was united in demanding their exclusion. 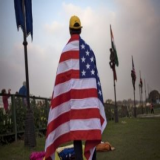 Indian Americans who are legal immigrants or their children are a relatively new group; their emigration to the US began in 1965, when America loosened up its immigration policies and picked up steeply post 1990. The first sets of entrants in this new phase were largely doctors to make up for the shortage of doctors created by the Vietnam War. The momentum of Indian immigrant flow picked up from then onwards. Data from the first decade of the 21st century revealed that nearly half of Indian immigrants lived in California, New York, New Jersey and Texas. While over 25 percent of employed men of Indian origin had jobs in IT and one-third of employed women of Indian origin had jobs in management, business, finance and IT. Where are the synergies in this relationship? Indians excelled across a plethora of opportunities provided to them. While Indians, mostly Gujaratis, are in-charge of half the motels, Punjabi-owned franchises for the 7-11 stores and Subway sandwiches are commonplace. Indians lent a significant contribution in the realm of art and the relationship between an exodus of Indians to America and the rise of the technology industry is well and widely mentioned. More than 25 percent of the Indian-born workforce works in the tech industry.Indian founders run around 10-20 percent of all tech start-ups. 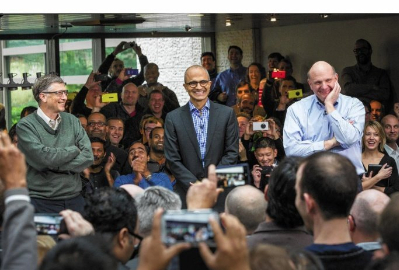 Indians are found to play a key role in tech giants – Satya Nadella, a Hyderabad-born business executive id the CEO of Microsoft and Chennai-born Sundar Pichai is the CEO of Google. While diplomatic relations retain a good deal of the friction, other areas have shown vast improvement. 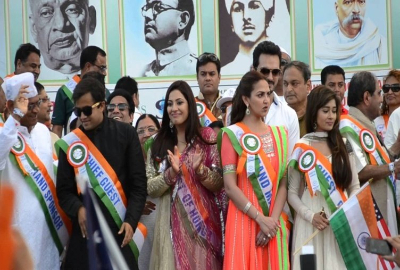 American society’s celebrities are revered in India too and the liberalization-globalization era that began in 1991 might have been the influence of American exposure received by the children of India’s political leaders of the period. The huge income brought in by the Indian tech firms in America is a key contributor to our country’s balance of payments (the transactions between India’s residents and other countries). And American educated entrepreneurs have been a driving force behind the ecommerce boon in India in the last five years. Who constitute the dark side of this community? The problem with the book The Other One Percent and an exhibition at the National Museum of Natural History with the theme Beyond Bollywood: How Indian Americans shaped the Nation is that both tend to ignore the dark side of the Indian Diaspora. 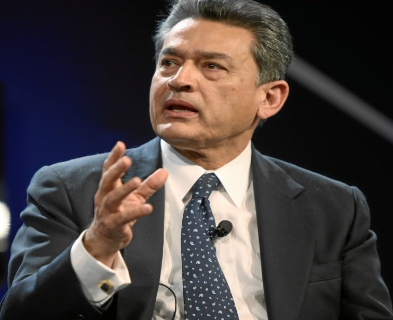 One such story is that of Rajat Gupta’s. Born in Kolkata, he went on to become the first foreign-born Managing Director of McKinsey from 1994 to 2003. He also served on boards of corporations such as Goldman Sachs, Procter and Gamble and American Airlines. He was also consulted by high-profile non-profits and co-founded a private equity firm, an IT company, an educational institution and a social organization. He was sentenced to two years in prison in June 2012 on insider trading charges (trading on the stock exchange to one's own advantage through having access to confidential information).Mc Kinsey had made a reputation for itself as a firm whose expensive consultants were the brightest and most reliable when it was made known that Gupta was at the center of Wall Street’s biggest insider trading scandal ever. How would Trump’s immigration policies change the equation? Even before Trump’s immigration policies are announced, the atmosphere among even legal Indian immigrants was one of unease. It was as if his campaign’s victory had unleashed a fresh spell of long-concealed hatred for foreigners. Annetta Seecharran, a social justice activist shared a personal incident in which her mother and young daughter were confronted by a woman with a fierce dog. The woman said, “You’re afraid of the dog We are afraid of you – go back to your country!” The surge in hate crimes against Muslims and Hindus and Sikhs mistaken for Muslims post 9/11 shows that racism may rear its evil head again. 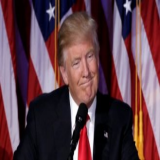 Trump has said he wants to bring back American jobs and stated, “I will end forever the use of the H-1B as a cheap labour program, and institute an absolute requirement to hire American workers first for every visa and immigration program. No exceptions”. 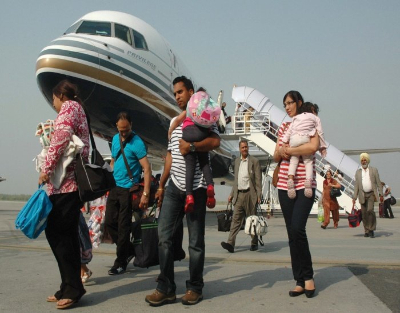 Indians have received the highest percentage of such visas for the past two years. Given the existing scenario where demand for these visas is way above supply, an enforcement of this policy would mean stripping away the competitive foreign talent US companies attract and a setback for Indian IT companies, which make more than three-fourths of their revenue from US clients. 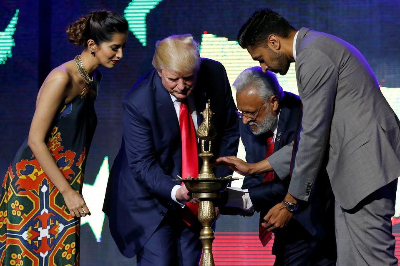 For Indian students, the transition from education to employment which is already tough may become harder despite optimism over Trump’s words and the high number of Indian students going to US each year to study. If America’s new immigration policies keep out the talented, ambitious Indians the loss would be deeply felt on both sides.